Microsoft is not releasing any new Windows 10 insider preview build this week. Meanwhile, Windows 10 build 14979 is now under testing. 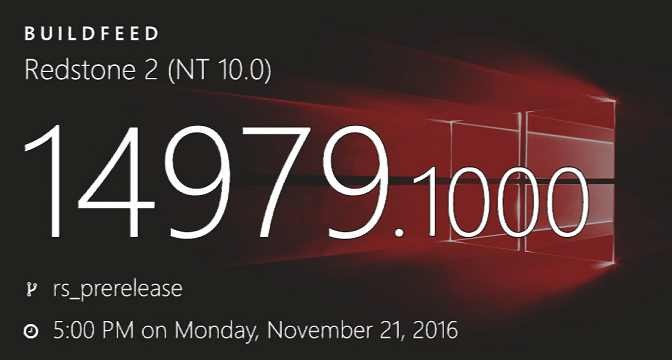 Windows 10 Build 14979 and mobile build 10.0.14979.1000 were compiled on November 21, 2016. The company is also testing cumulative update build 14393.555 for Windows 10 anniversary update users.